It's happening again. Grab your hiking boots! Silicon Valley Bank's Private Equity Services team looks forward to seeing you in Boulder, Colorado for our 8th Annual Professional Development Summit. 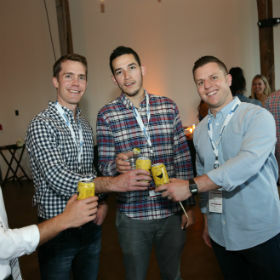 As always, you can expect to network, learn and have some fun. We appreciate your continued relationship with SVB and hope you can join us for this special event. Silicon Valley Bank will be covering all meals and activities during the program. Please plan to coordinate your own transportation and hotel stay. We recommend using Uber or Lyft for ground transportation from DEN to The St. Julien. Additionally, taxicabs are readily available outside of baggage claim at DEN, we recommend Denver Yellow Cab. 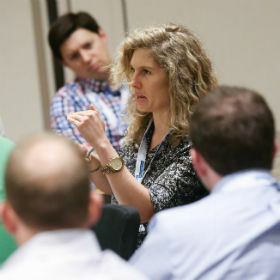 Participants attending CPE sessions will earn approximately 1.0-1.5 CPE credits per session for the following states: California, Colorado, Illinois (pending), Massachusetts, New York (pending) and Texas (pending). Thank you to our 2018 Advisory Board members who are helping in creating an exciting agenda and meaningful content for our upcoming program. Path to CFO: How to position yourself for career advancement in an increasingly demanding industry. Hear from a panel of experienced private equity finance professionals as they discuss their unique career paths to the role of CFO. State of the Markets: How is the Innovation Economy performing in 2017? How did we get here and what does the future hold? SVB will provide its unique insight into the current macro environment, valuations, IPO and M&A markets, LP appetite, and Q&A about the future of innovation. Personal Finance: Erin Lowry, author of Broke Millennial: Stop Scraping By and Get Your Financial Life Together will overview the common millennial financial journey and provide solutions on everything from how to financially plan for life changes to talking money with your romantic partner to the balancing act of handling multiple financial priorities. Tax Reform: How has Tax reform effected partnership transactions? Hear from an industry expert and author on new strategies to minimize federal income tax burdens in M&A transactions both for General and Limited partners. Cyber Security and GDPR: A discussion of the evolving regulatory requirements and expectations; recommended actions in response to specific, real world examples; and a review of emerging threats and the development of technologies designed to combat them. 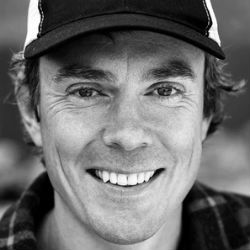 For nearly two decades, Scott Jurek has been a dominant force—and darling—in the grueling and growing sport of ultrarunning. Scott’s outstanding competitive resume includes victories in nearly all of ultrarunning’s elite trail and road events. The Washington Times named him one of the top runners of the decade, Runner’s World awarded him a Hero of Running, Ultrarunning Magazine named him Ultra-Runner of the Year four times and National Geographic named him one of 2016's Adventurers of the Year. More than just a champion, Scott is a true student and ambassador of the sport, known to stay at finish lines cheering until the last runner crosses. A passionate advocate for vegetarianism, he follows a 100% plant-based diet, which he credits for his superior endurance, recovery and overall health. He believes that everyone can run an ultra and everyone can access their bodys innate capacity to heal. Through writing, public speaking, and consulting, Scott takes joy in encouraging people of all fitness levels to take the next step toward vibrant health. Scott currently resides in Boulder, CO with his wife, Jenny, and daughter, Raven. Derria Banta joined Platte River Equity in 2012 as Chief Financial Officer, having led fund administration for Platte River Equity on an outsourced basis since the firm’s inception in 2006. Ms. Banta has been working with private equity and venture capital firms since 2002, with direct responsibility over financial statements, accounting and tax matters and compliance. Prior to joining Platte River Equity, Ms. Banta was President of an accounting firm she co-founded in 2008 to provide outsourced accounting and financial services to private equity and venture capital firms. Previously, Ms. Banta was the Vice President of Finance and Administration for Centennial Ventures, a Denver-based venture capital firm with over $1 billion under management. Ms. Banta started her career with a nationally recognized public accounting firm. Ms. Banta is a Certified Public Accountant and holds a B.S. in Accounting from the University of Wyoming. 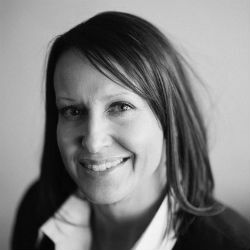 Becky Cooper consults as a Director for Standish Management, providing fund administration services to venture capital clients, and she is a professional career coach, providing coaching services to professionals going through a career transition or desiring more satisfaction in their current career. She has started her own professional coaching business, Innerwoven. She was formerly the COO/CFO at Foundry Group, which is a Boulder, Colorado, based venture capital firm with over $1 billion in assets under management. Becky was with Foundry Group/Mobius Venture Capital for fifteen years. Prior to Foundry Group, Becky was with PricewaterhouseCoopers in San Jose, California, providing audit and assurance services to private and public companies. 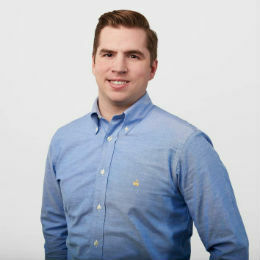 Brett has been in the venture capital industry since 2007. At 8VC, Brett is responsible for all financial, operational and legal matters of the firm and funds. 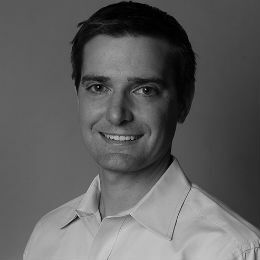 Prior to joining 8VC, Brett was CFO/COO of Formation 8. 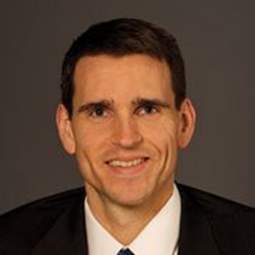 Brett spent five years as CFO at CMEA Capital. At CMEA, Brett managed six funds with $1.2 billion in assets under management. 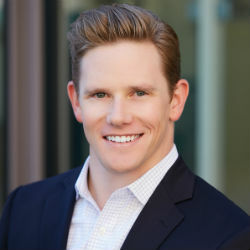 Previously, Brett was on the Audit and Business Advisory Services team at PricewaterhouseCoopers (PwC) in New York and San Francisco, primarily focusing on insurance and investment management clients. 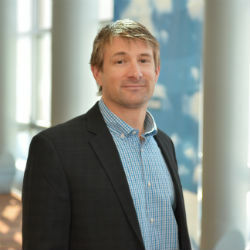 Brett received dual degrees in Finance and Accounting from the Kelley School of Business at Indiana University. 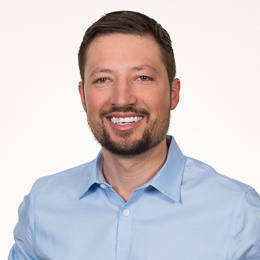 Brett earned his CPA in 2006 and is a member of the AICPA, California CPA Society, and is a Financial Executives Alliance NorCal PE/VC Board member. JP joned Cordium in 2013. He is a Vice President in Business Development at Cordium and helps soon-to-be registered investment advisors understand the upcoming steps and responsibilities in implementing and maintaining a comprehensive compliance program. He also works with established ERAs and RIAs to understand their needs in relation to mock regulatory exams, compliance monitoring & tracking software tools, as well as cybersecurity & data protection. He assists firms that operate in the public equity, private equity and venture capital space. JP spent 5 years in Redmond with Microsoft as a Software Developer and later as a Program Manager in the Internet Explorer team. JP received bachelor’s degree in Computer Science from Rose-Hulman Institute of Technology. 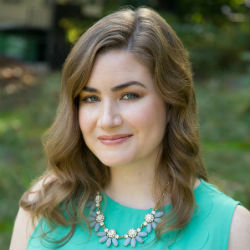 Erin Lowry is the author of Broke Millennial: Stop Scraping By and Get Your Financial Life Together and is currently working on her second book, Broke Millennial Takes On Investing: A Beginner's Guide to Leveling-Up Your Money. Her first book was named by MarketWatch as one of the best money books of 2017 and her style is often described as refreshing and conversational. Erin’s appeared on CBS Sunday Morning, CNBC and Fox & Friends. She has written for Fast Company, Cosmopolitan Magazine and Refinery29 and regularly speaks at universities and conferences around the country. Erin lives in New York City with her partner and their spunky rescue dog Mosby. 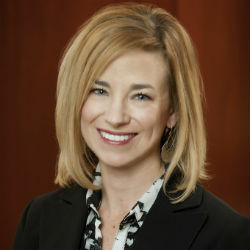 Carolyn McVeigh is a Senior Associate on the SVB Capital investment team. Carolyn's focus is the fund of funds business, where she spends her time building relationships with and conducting diligence on the most premiere venture capital firms. 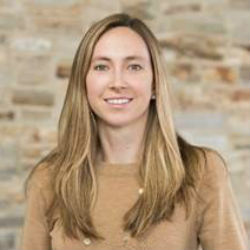 Prior to joining SVB, Carolyn spent three years at the David and Lucile Packard Foundation as a Senior Investment Analyst. Before that, she was a Senior Investment Associate at Cambridge Associates, an investment consulting firm. Carolyn holds a B.A. from Stanford University. Outside of work, Carolyn enjoys playing tennis, traveling, and exploring the local farmers’ market. Darren is a Vice President of Cordium’s compliance consulting division and a Partner of the firm. He currently runs the San Francisco office. Darren helps investment managers successfully implement and maintain a comprehensive compliance program. His clients utilize a broad range of investment strategies including but not limited to public equity, private equity, real-estate related and fund of fund strategies. 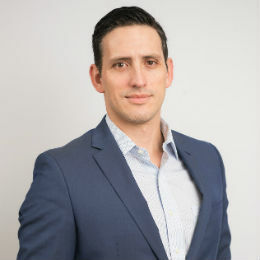 Prior to joining Cordium, Darren was Deputy Chief Compliance Officer and Associate Counsel at F-Squared Investments in Wellesley, Massachusetts. At F-Squared, Darren served as the point of first contact for most compliance and legal issues and independently supported F-Squared’s compliance program during the SEC investigation and subsequent enforcement regarding historical marketing practices. Darren received a J.D. from Suffolk University Law School in 2013 and a B.S. from the University of Delaware in 2008. He is an active member of the Massachusetts State Bar. 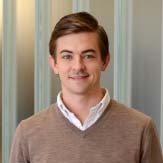 Steven Pipp is a Senior Research Associate, responsible for market research and analysis of the venture-backed technology space. Steven holds a MSF from the Carroll School of Management at Boston College and a BSB from the Carlson School of Management at the University of Minnesota. He passed Level III of the CFA Program in 2017. 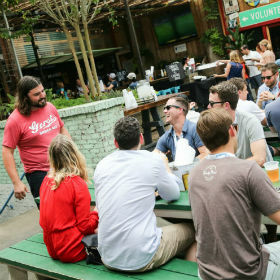 Mark Thylin runs the Fund Banking Group for the western half of the Central US, which encompasses an area spanning from the Pacific Northwest through the Rocky Mountains and into Texas. In this role, Mark is responsible for building relationships with existing and new venture capital and private equity firms. With more than 20 years of financial and accounting experience within the innovation economy, Mark has spent a collective 14 years with Silicon Valley Bank working in multiple locations including Northern California, Arizona, Colorado and the U.K. Mark has also held a variety of financial roles with Robertson Stephens Investment Bankers, Level 3 Communications and McKesson Health Solutions. Mark currently resides in Denver, Co, where he earned both a Bachelors degree in Finance and an MBA from the University of Colorado. James Whitmire is located in Denver, Colorado and has nearly twenty years of experience as a tax specialist and attorney, primarily in the areas of partnership taxation, mergers & acquisitions structuring, formation transactions, refinancings and domestic tax planning. 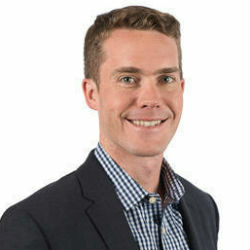 James has advised on over 100 merger and acquisition transactions in the middle market space for companies engaged in a variety of industries, including energy, consumer products, industrials, technology, manufacturing, retail, services, health care, chemical, logistics and the food industry. He has advised private start-ups, public companies, private equity firms and venture capital firms on many tax issues including tax structuring, executive compensation structuring, Section 704(c) allocation methodology, and many other transaction tax issues. James is a co-author of the 4th Edition of the leading treatise on partnership taxation: Federal Taxation of Partnerships and Partners, as well as the author of the Partnership Formation volume of Thomson Reuters’ Tax Advisors Planning System, a contributing author of Bittker & Eustice’s Federal Taxation of Corporations and Shareholders, and the editor of Christian & Grant’s Subchapter S Taxation. James has served as an adjunct professor for the University of Denver’s Graduate Tax Program, where he taught Partnership Taxation. Prior to forming The Whitmire Group, LLC, James was a partner with the Denver office of the law firm of Bartlit Beck Herman Palenchar & Scott, LLP, where he specialized in partnership taxation, merger and acquisition structuring, and advising clients on a wide variety of other federal income tax matters, including alternative energy tax credit monetization transactions, tax shelter promoter audits, and golden parachute issues. James received his J.D. from the University of Virginia School of Law and his B.A. from the University of Pennsylvania. 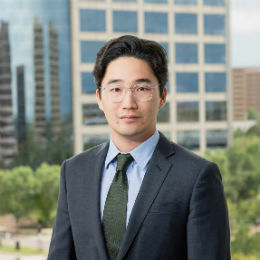 Kevin Yew is a Director at PWP and a senior member of Agility’s Operational Due Diligence Team where he is responsible for performing due diligence reviews across all asset classes invested in by PWP including private equity and venture capital strategies. Prior to joining PWP, Kevin was a Vice President at Citigroup, where he was part of the Global Managed Investments Team under Citi Private Bank. In this role, he performed operational due diligence reviews of third party sponsors and funds, including public, private, hedged strategies, real estate, structured products, and direct co-investment opportunities in the United States, Latin America and Asia. Prior to that, Kevin was an Assistant Vice President at Bessemer Trust, where he was responsible for conducting operational due diligence on behalf of their proprietary alternative investment funds, as well as an Associate at Gottex Fund Management. Kevin earned a B.S. in Business Administration with an emphasis in Accounting and a B.A. in Economics from the University of Colorado at Boulder. Kevin has earned the Chartered Alternative Investment Analyst (CAIA) designation and holds the FINRA Series 7 and 63 licenses. St. Julien Hotel & Spa offers visitors and guests a distinctive 'Boulder' experience. Featuring luxuriously appointed accommodations, combined with a warm, friendly staff, St. Julien offers the best of both worlds, all in a casually elegant atmosphere. 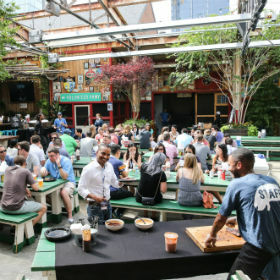 A playground for professionals, students and tourists alike, St. Julien offers a variety of signature experiences. Book your room today using our reservation link or by calling the hotel at (877) 303-0900. Make sure to mention Silicon Valley Bank to get our special group rate of $289! All reservations must be received by April 18th, 2018 to receive the group rate. The special negotiated hotel rate is available for those guests who would like to extend their stay through the weekend. For those flying into DEN, we reccomend that attendees use Uber, Lyft or airport Taxi services to get to the St. Julien. 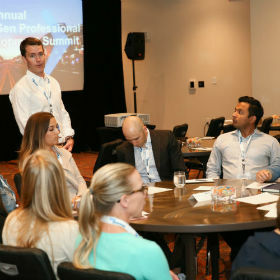 Please note, check-in time is 3:00 p.m. and check-out time is 11:00 a.m.
Last year’s NextGen Professional Development in Nashville was a productive and fun few days. 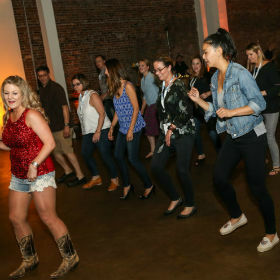 Guests had a chance to learn from industry experts, network with their peers and enjoy recreational activities true to Nashville. This year’s program promises to be another memorable experience with some great surprises in store. Thank you to our 2017 Advisory Board members who are helping in creating an exciting agenda and meaningful content for our upcoming program.